Nettie Price, an artist from Reading was a former math and science teacher in the Prison and Youth Detention when she started painting her students as quirky cats and dogs to make her smile. Soon she realized it made others smile too and there began the story of Nettie Price Sparkling Art. Nettie left teaching in 2012 to focus on her growing business full time. Currently her artwork and gift items can be found in unique locations throughout the US and abroad and we are delighted to announce she will be joining us at market to sell her Color Me Books, calendars, 8×10 sparkling prints and Xmas Cards. She accepts charge, cash and check. Take a listen to the July 16 spot on Albright College Radio. 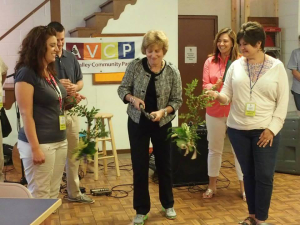 Our market and AVCP were featured along with a great bit from vendor Toland Farm’s Trisha Hessinger! Starts at the 9:40 mark. Thanks to Mika Gery from Albright for arranging the interview. 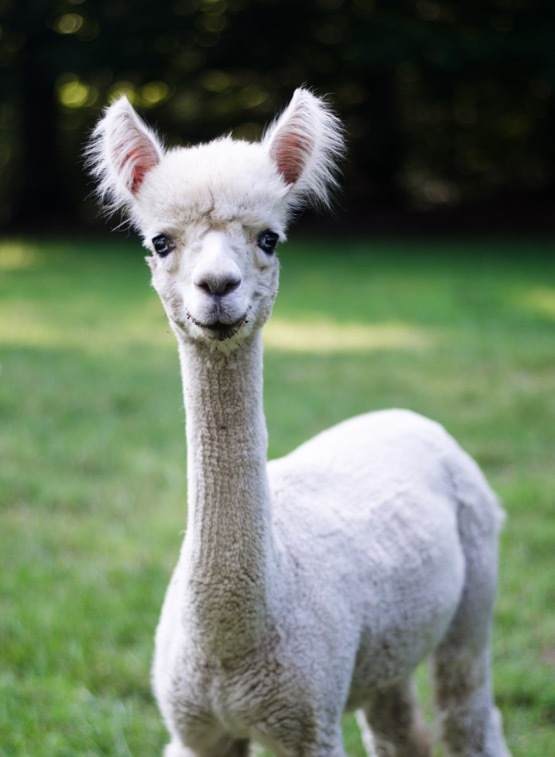 Two young alpacas from Almosta Ranch Alpacas will be visiting the market this Saturday, July 4th (weather permitting), and are excited to meet new people! Both one-year-old females, Hope (short for Never Give Up Hope) and Gremlin (because of the cute creature-like noises she sometimes makes), will be visiting the market this Saturday and are excited to meet new people. 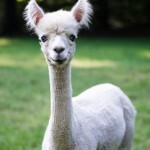 Be sure to stop by Almosta Ranch Alpaca & Fiber Farm’s booth at the Antietam Farmers Market to say hello to the girls. And remember to bring your cameras for prime picture opportunities! 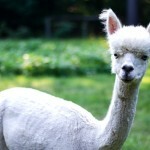 Please note, we have dogs at home and we love meeting your dogs at the market, but the alpacas are scared of dogs. 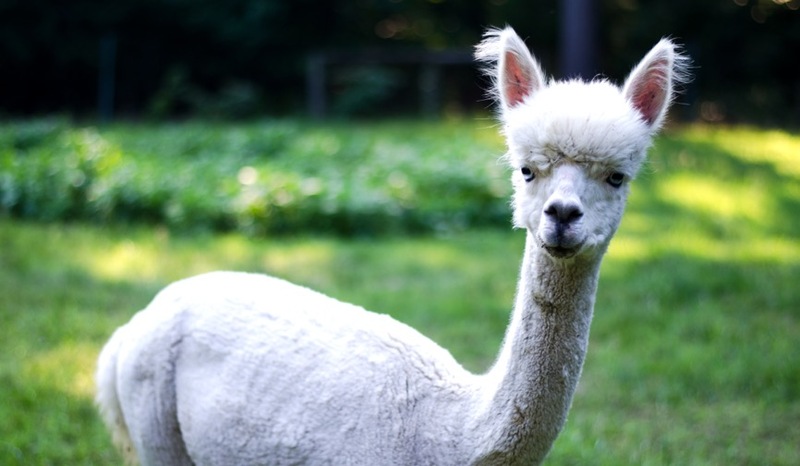 We ask that you refrain from allowing your pups to come up to the alpacas. Thanks! 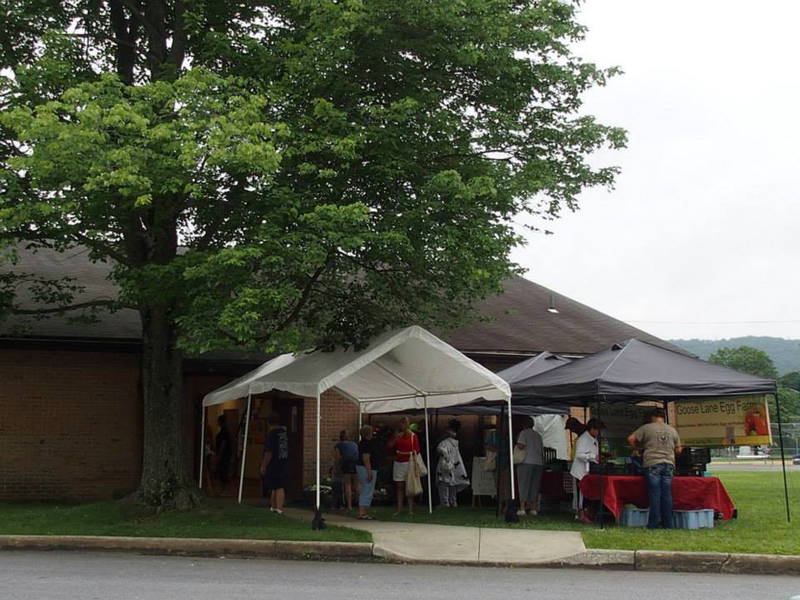 We proudly celebrated the Grand Opening of our Farmers’ Market on Saturday, June 27. The market opened at 8 am with our usual phenomenal variety of vendors offering a multitude of products – this week under cover of the recreation center building due to the rainy weather. 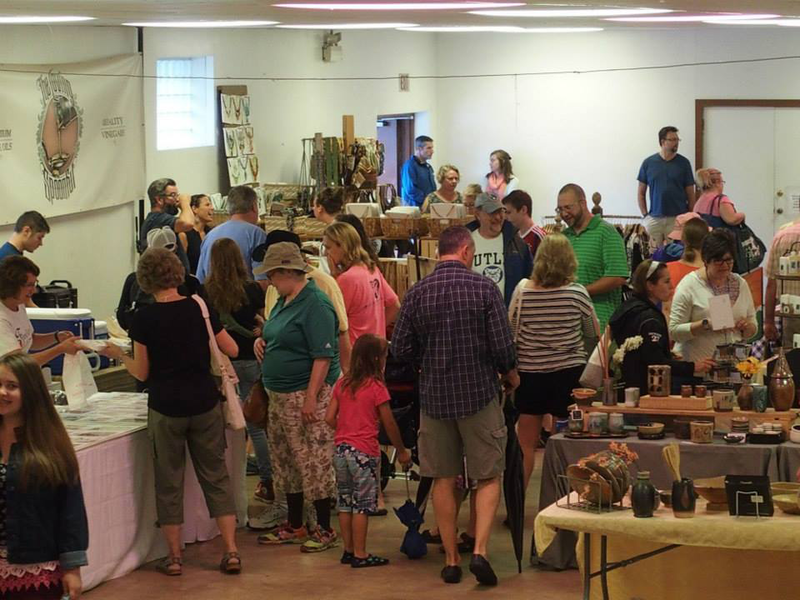 The rain did nothing to scare away crowds, however, with approximately 450 people attending and joining in festivities. 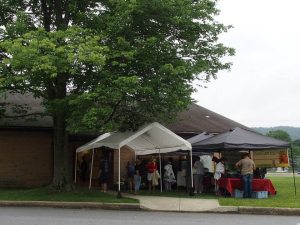 From 10-12, we enjoyed the music of Dave Cullen as he played for the crowd, and as a special market treat, pig roast was provided by Moyer’s Catering. We welcomed Senator Judy Schwank and Chad Schlanger of Representative Mark Rozzi’s office as they joined in cutting our floral garland, officially beginning our market season. Each presented a citation honoring the market.